This week's featured free plug-in from our free plug-ins database is Midside Matrix from Goodhertz that pares down their mid/side processor plug-in - Midside, to just the essentials: mid/side matrixing, gains, monitoring, & metering. 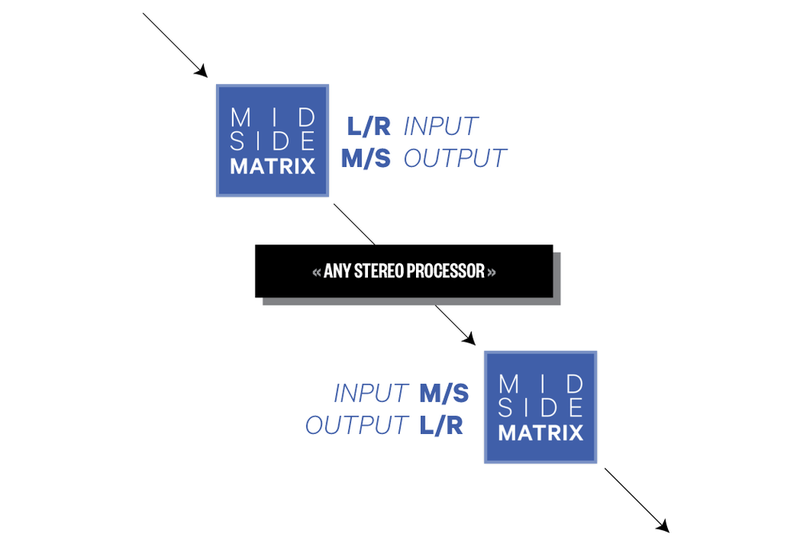 Changing the stereo width in Midside Matrix is as simple as boosting or cutting the side signal. If you want to make a stereo source wider then try a +6dB sides boost. Need to make something mono? — just mute the sides all together. Using Midside Matrix, it’s incredibly easy to convert between M/S and L/R stereo signals without needing to worry about extra buses, gain staging, or incorrect panning. Using two instances of Midside Matrix, any stereo processor — even analog hardware — can be converted into a mid/side-capable stereo processor. For anyone you uses or works with recordings make with an M/S Microphone then this is a no-brainer of a plug-in. The M/S microphone technique is extremely flexible and sounds great in lots of applications, but because of the complexity of creating an M/S recording in most DAWs, it’s often incorrectly setup or avoided altogether. To get the free Mideside Matrix plug-in you will need to create a free account with Goodhertz. When you download and install the free plug-in you will also get demo versions of all their other plug-ins. Currently, all the Goodhertz plugins are available only for Mac OSX (AU and AAX), but they are working on cross-platform VST versions that they hope will be available for Mac and Windows in 2017. If you’re hoping to try out this VST format in beta, you can fill out this survey and you’ll be notified as soon as betas of the Mac and Windows VST versions are available for testing and purchase from Goodhertz.